MANILA--Global bucked a valiant Nomads defense in the first 38 minutes and pulled away in the second half for a 4-0 rout in the lone match played in the seventh day of the UFL Cup on Sunday night at the Rizal Memorial Stadium. Braces by substitute Koffi Kouassi and starter Matthew Hartmann were instrumental for Leigh Manson as the former cup champions recovered from its overturned result to its match against GAU last week to move to second in Group B on goal difference. Global bossed the field all throughout the match, with 65% of the possession and outshot Nomads by 24 more attempts on goal. But the stellar goalkeeping of Joshua Cruz saved Eric Antoine's blushes, who came from a disastrous setback against Ceres last week, as he saved Global's 11 shots. True to form, it was the two-time league champions who started the match on full attack mode, with Hikaru Minegishi leading Global's charge. But it was responded very well by Nomads, with a solid backline and fine goalkeeping of Cruz kept the match even in the first 35 minutes. But it was the Ivorian who put a massive dent to the match a minute after he came off the bench for the misfiring Japanese forward, as he beats the offside trap and Cruz to draw first blood off his left boot. Global turned on the heat at the restart and Kouassi doubled the advantage just twelve minutes in, when he beat Cruz again and poked it from close range to complete his brace. Then Hartmann joined the scoring party at the hour mark, with his left-footed free kick blasted past the middle left corner of Cruz's goal to make it 3-0. Nomads' day went from bad to worse six minutes later, when Darren Hartmann was issued marching orders by Linjun Talaver on a second bookable offence. The same left boot of the younger Hartmann then finalized the outcome with nine minutes to go in the match, as he fired from outside of the box again on an open play past a grounded Cruz. "We're not productive enough. If we scored 1/3 of the 16 chances, it would be 4-0 at halftime. Nomads were lucky that our finishing is so poor tonight. ", quipped the Scottish gaffer. Cruz credits the low-scoring loss to their team effort, as they worked on their defense against Global's offensive firepower. Meanwhile, the supposed first match of the Sunday doubleheader did not push through, but Forza grabbed all three points with a win by forfeiture versus Laos. 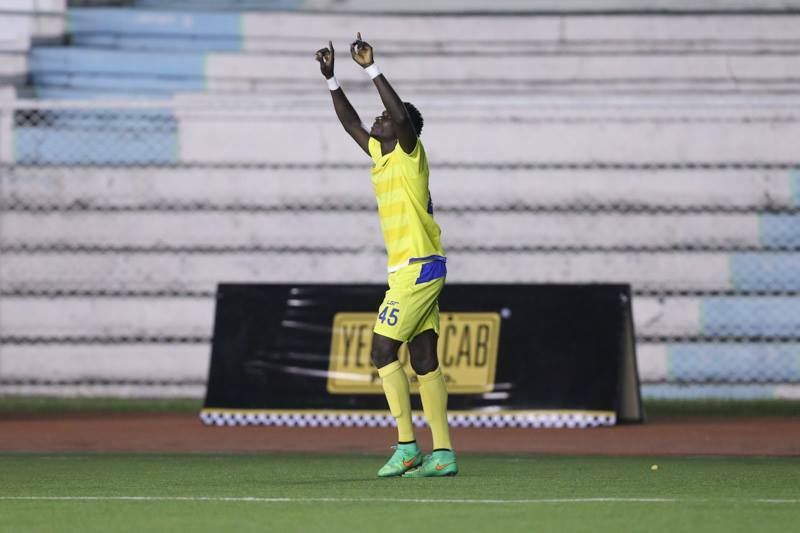 The Division 2 champion failed to comply with mandatory league rules, and with that, the match commisioner handed the win to the Muntinlupa-based club, which is now in fourth in Group A, behind JP Voltes on goals scored. With the loss, Laos dropped further to the cellar of the group on goal difference behind Agila MSA.